Various ideas can be applied to renovating a bathroom. 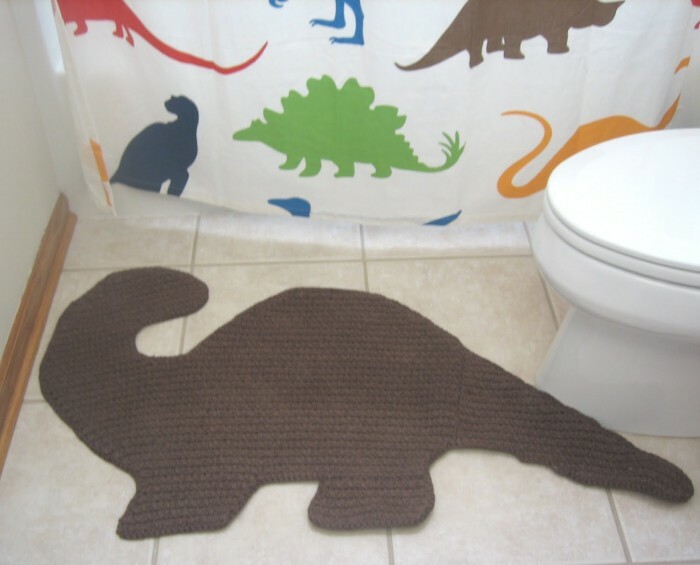 If you love all things dinosaur or Jurassic themed, you can use it as the theme of your bathroom remodeling. Cost can be reduced by utilizing the old stuff can still be used. Like most other bathrooms, remodeled bathroom before the impressed “less interesting” because it only uses white ceramic floor complete with bathtub-shaped box. If you want to look different with a touch of dinosaurs, the bathroom was replaced with rocks as a floor. The tub was replaced with fitted shower ridden with fake plants from plastic, so as if a shower of natural water in the forest. Stone temple used as a bathroom floor, while the white flores stone for footing while bathing. Romantic accent but there are still shades of the forest on one wall of rock andesite line. If it rains, the rain water will wet the wall. Atmosphere bath in the dinosaur age was more pronounced. Another addition is a table and a mirror mounted in the corner of the room, so as not ait on the floor, it should be fitted white shower curtain. Add to this other accessories such as toothbrush and toothpaste place shaped dinosaurs, raptor-shaped soap dish, towel patterned Brachiosaurus, and others.